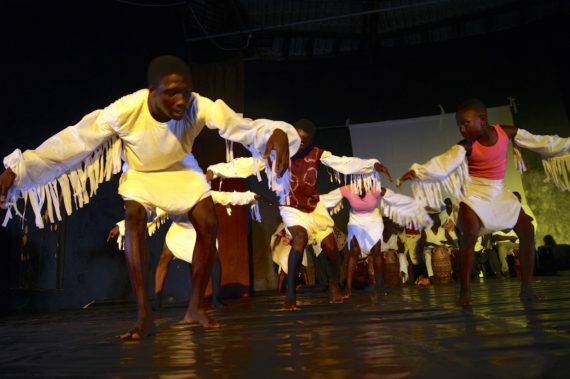 A dance piece titled “Idioms of Distress, Wellbeing and Resilience” recently enchanted a cheering audience at the Noyam African Dance Institute, which is located on the hills of Dodowa, near Accra. 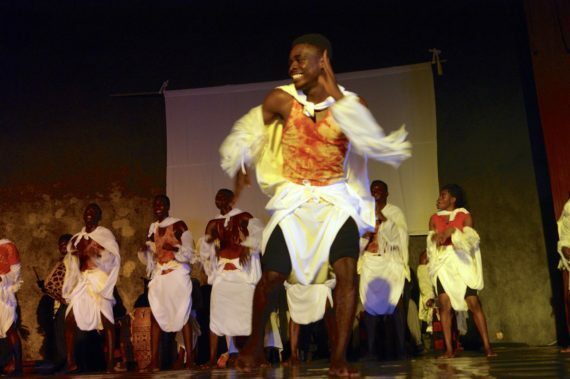 Directed by Prof. Alison Phipps / Gameli Tordzro and devised by Cynthia Onoma / Akwei Addotey, the young Noyam dancers showcased extraordinary movements that transmitted images of anguish, comfort and resilience among diverse communities. 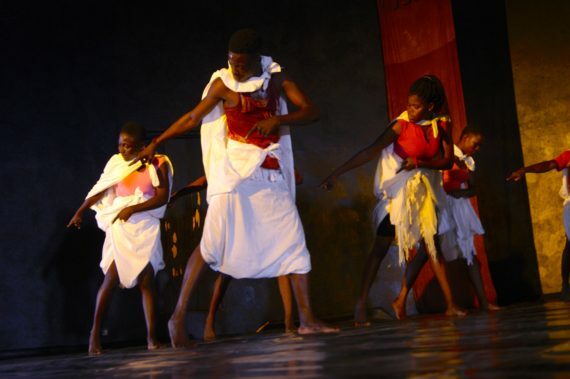 With references to Akan idioms of expression and funeral rites of the Dangbe District of the Greater Accra region, the artists explored formal dance practises and expressive theatricality as diverse languages including Ga, Adangbe, Twi, Ewe, Shona (Zimbabwe), Lusoga (Uganda), English, French and Arabic flowed from the stage. 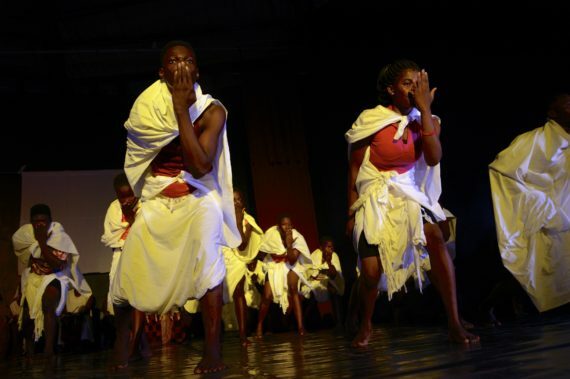 Interspersed with imaginative projections of poetry from team members who could not make the trip due to visa difficulties – a situation, which equally befell the dancers on a recent trip to Europe – the artists appeared to perform with blunt, raw and quite engaging honesty. 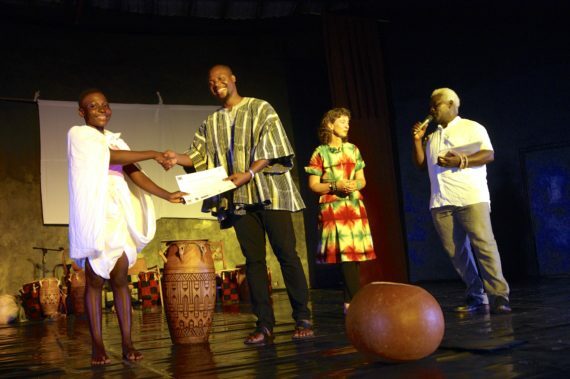 “I hope that this project continues to inspire these young artists to create, feel empowered and explore their own artistic voice, while highlighting a sense of community and voicing out issues through their agile and talented bodies”, said Joe Attim, a journalist in Accra. 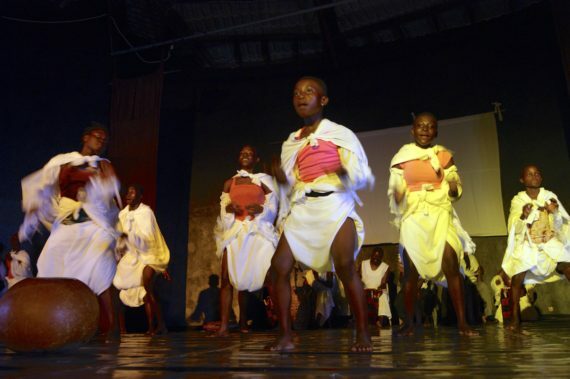 With academic inputs from Professors Kofi Anyidoho / Kofi Agyekum, Ross White, Bella Hoogeveen, Giovanna Fassetta, Nii Tete Yartey and others during the research stage, the piece equally employed the use of Adangbe proverbs, folk tales from the Buganda traditions in Uganda as well as a variety of sounds, which added to the diversity and beauty of the performance. 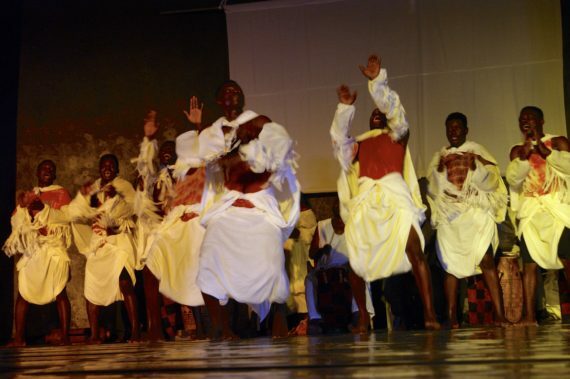 Alongside refreshing music composed by Gameli Tordzro with inflections of tradition Ugandan music by Roscoe Kasujja / Obed Kasule and costume design by Naa Dansua Tordzro, the piece, which is laced with brilliant multilingual monologues, is an issues driven production that is deeply intensive and focused. 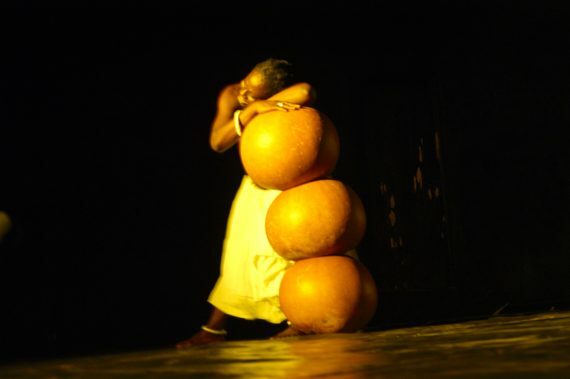 Refreshing solos by Addotey with huge calabashes together with communicative duets and movements in unison turned the performance into a visually stimulating one – indeed, one that would compel those who hate dance to take a new approach. 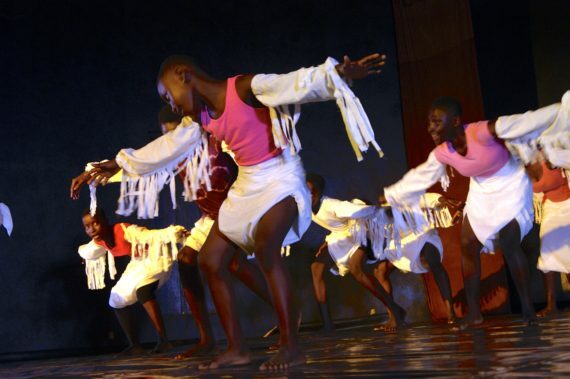 Undeniably, “Idioms of Distress, Wellbeing and Resilience” is proof that by coming together, we can create our own reality – undeniably, we can build a community wherever we are.